Katsumi Cosplay has been rockin' the con scene since 2012! Known for her original design cosplays, she is also reputed for crossplaying. Lover of all things cute and chaotic, you can find her cosplaying from shows Like Camp Camp and RWBY and videogames like Overwatch and Persona 5. At Kigacon, you can find Katsumi hosting panels, judging the cosplay contest, as well as selling her own crafty items in the Vendors' Room! Inspired by anime and cosplay, otaku lifestyle artist WHEREDAWAIFU began developing his trademarked brand WAIFUWEAR in 2015. Since its official launch, he has brought his brand to conventions in California, Las Vegas, Louisiana, Mississippi, Alabama, Florida, and now Virginia, while promoting his #WHEREDAWAIFU movement across the states. Sharing his ideals and championing the notion that all #WAIFULIVESMATTER with everyone he has met, WHEREDAWAIFU is on a mission to take the term back from the otakus who limit the identity of waifu to body pillows, figurines and 2D/3D characters, and is giving it back to the real life waifus that are otaku themselves. He believes that it’s #ALLWAIFUEVERYTHING or NOTHING, because without waifus, which we all love so much, there wouldn’t be otakus in the first place. Find him and his team at his WHEREDAWAIFU booth where you can find his WAIFUWEAR gear and meet some of the local artists and photographers that rock with with his brand. Raksmey Prak is a college graduate and has been a cosplayer since 2010; over 7 years now. 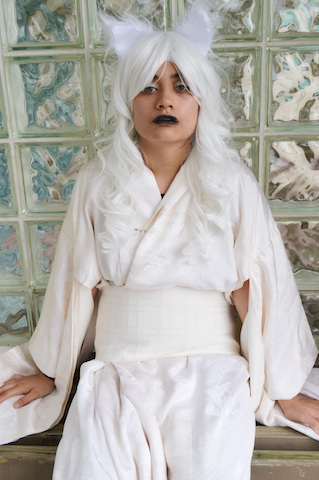 Her first anime convention was Otakon 2010, and her first cosplay was Farah from the Prince of Persia: Two Thrones. Since then, she has loved designing, crafting, and making cosplays, and her love for attending conventions grew. She has, since then, set her alias name to AutumnVirus Cosplay. She has seen herself become more of an armor based cosplayer because she enjoys crafting, building props and armor. Not only is she a cosplayer, but she is also a model and a Twitch affiliate. 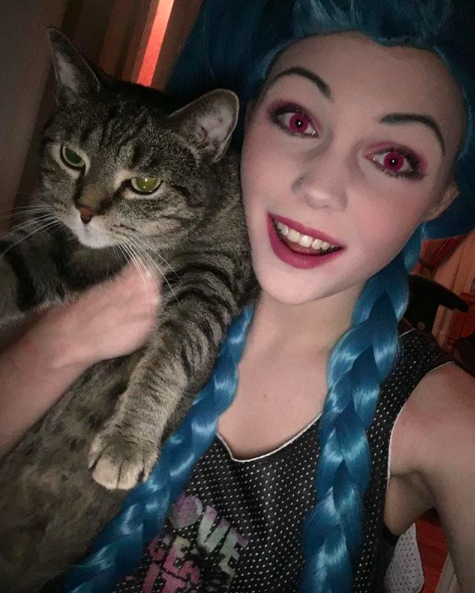 Gaming is a big part of her life, and she is currently trying to make cosplay, modeling, and gaming/streaming a full time career. She has attended Creator Con Festival 2017 as a cosplay guest & judge and was awarded 3rd place in the cosplay contest. She was also a cosplay guest and cosplay judge for last year's Norfolk Anime Explosion in Norfolk, VA and Anime-Mid Atlantic in Norfolk, VA! She is currently sponsored by WAIFUWEAR apparel, Arawelo Shop apparel, and Gymmonkee fitness apparel. She hopes to progress even further with her cosplays and her Twitch streaming in the near future. Cosplay and streaming aren't her hobby, they're her passion and dream. You’ll find AutumnVirus in the Vendors’ Room with WAIFUWEAR and as a judge for our Cosplay Contest. Be sure to stop and see her awesome cosplays! Rachael Messer is a professional actress and has done work for commercials, anime, cartoons, and video games. She has appeared in FUNimation shows as Sistine, the female lead in the anime Akashic Records, My Hero Academia, Manami in A Centuars Life, Selestina in Knights and Magic, Ozanawa in Sankarea, Robotics; Notes, One Piece, and Fairy Tail. She has also voiced four characters in Midnight Mares, animated by an animator from My Little Pony. Rachael also voice acts in video games. Some of her games are: Rebecca Lansing in the remake of System Shock, Comba in Warframe, Teacher in Yandere Simulator, Dire Wolf Tyra and Infernal Seris in Paladins, Arachnae, Shadow of Sol, Kraqueen, and Cirque Du Silhoette in Heroes of Newerth, Wakfu Raiders, Anima: Gates of Memories, Astra in Wormhole City, and over 200 other games. She has acted in several films and is the lead female role in a new TV series written by six time Emmy nominee and winner Peter Bedgood. Rachael is also Lucianna in the new feature film Gremlin, and in Disney Channel’s new Polaris Primetime with Markiplier, Jacksepticeye, and Will Weaton. Rachael has a Bachelor’s in Theater Performance and always seeks to help those interested in the field of acting. Kigacon is so excited to welcome Rachael Messer! Be on the lookout for her schedule of panels. Paul St Peter is an American voice actor who works on English-language productions of Japanese animations and video games. Paul has appeared in numerous shows, including: The Testament of New Sister Devil, One Punch Man, Mobile Suit Gundam: Iron Blooded Orphans, Hunter x Hunter, JoJo's Bizarre Adventures, Naruto Spin-Off: Rock Lee & His Ninja Pals, Zetman, Mobile Suit Gundam Unicorn, Monster, Naruto: Shippuden, Straight Jacket, Fighting Spirit: Champion Road, BoBoBo-Bo Bo-BoBo, and Bleach. Well, you get the idea. Paul has been in a lot of stuff. Kigacon is excited to welcome Paul back for the 2018 convention! Aki Glancy (EmpathP) is an American musician, illustrator, and Producer from Virginia. Specializing in the creation of original VOCALOID works, her credits include illustrating the Celtic English VOCALOID "AVANNA" and voice providing for the America English VOCALOID "DAINA". Currently she is the manager and sponsor of the Western VOCALOID Concert project "VOCAMERICA". Creative and original Michele Ponseti, aka DJ PonFetti, has been building a name for herself across Hampton Roads. Originally from Warwick, Rhode Island, PonFetti mixes an array of genres to excite any crowd with completely innovative sounds. PonFetti began headlining local clubs in Virginia Beach in 2015. By August 2015, PonFetti had taken to the stage at DJ Expo in Atlantic City for Peavey Electronics. There, she performed an epic set on the DJ Times main stage as well as Peavey’s booth. In December 2015, Mobile Beat Magazine featured PonFetti in an article titled “Djs Spin On Peavey.” Then, in March 2016, PonFetti was hitting headlines again for making an appearance at Mobile Beat Las Vegas alongside Peavey. Currently sponsored by Peavey Electronics, DJ PonFetti spins regularly throughout Virginia Beach and surrounding cities. Diverse, unique, and talented, PonFetti is continuing to reach success after success. DJ PonFetti will be performing at Kigacon's Saturday night dance party. Don't miss it!